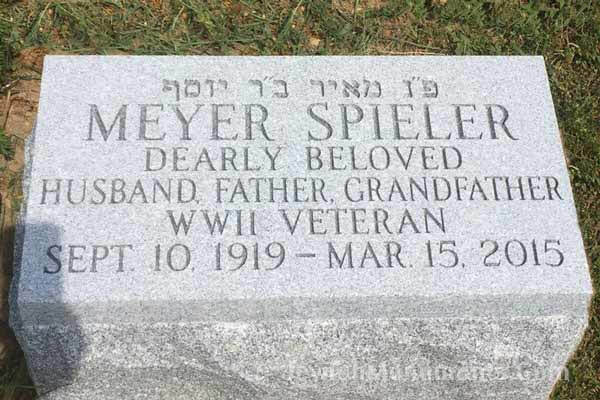 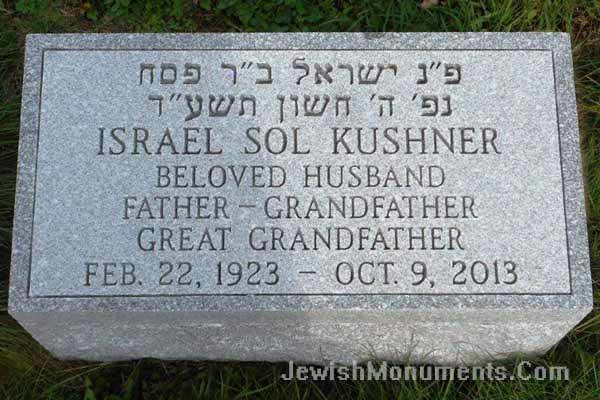 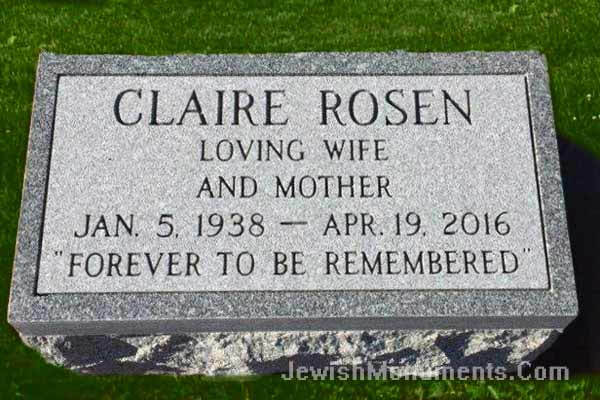 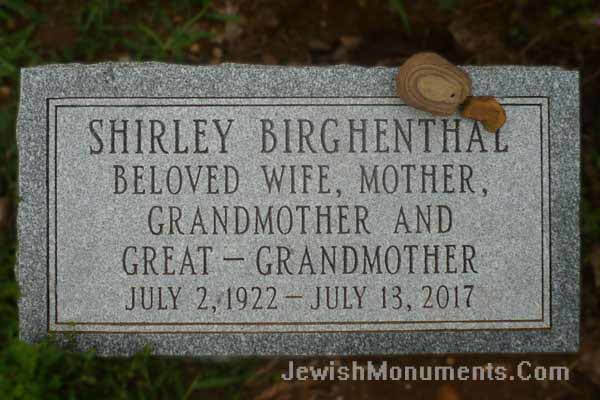 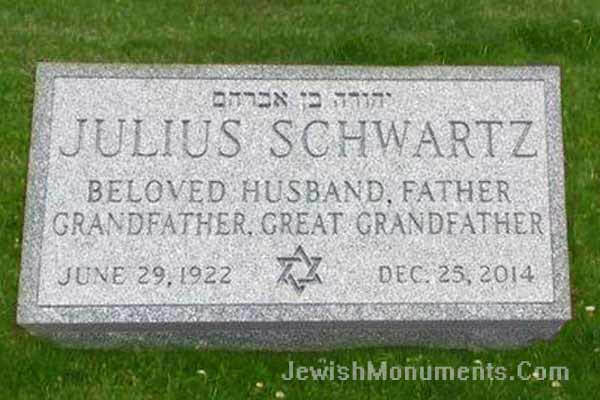 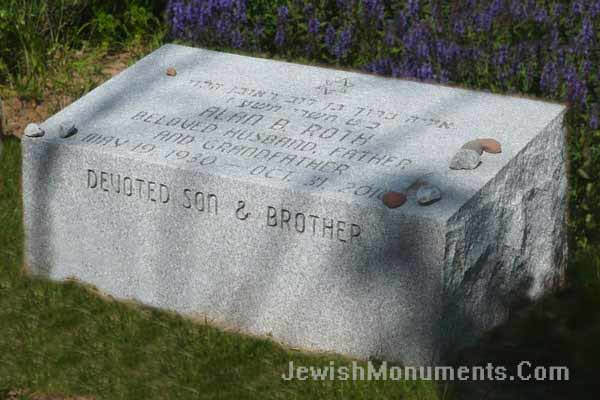 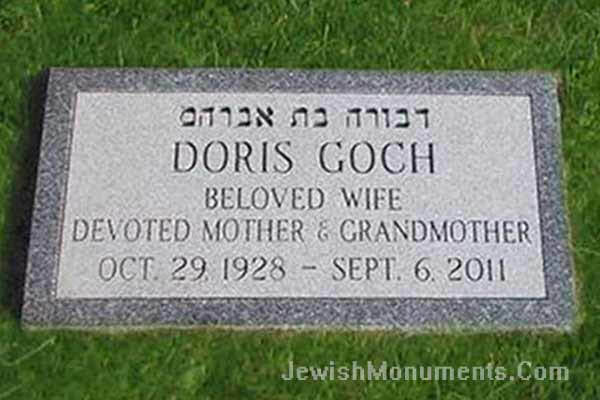 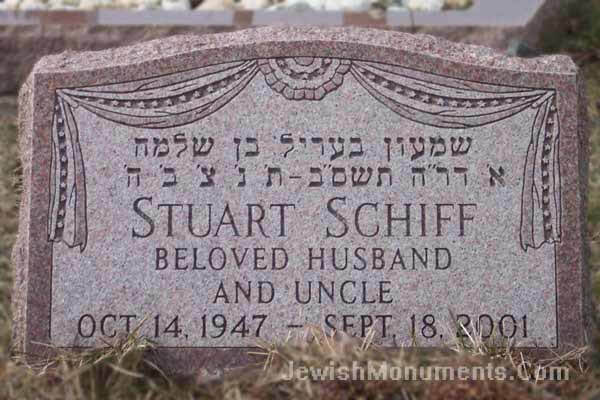 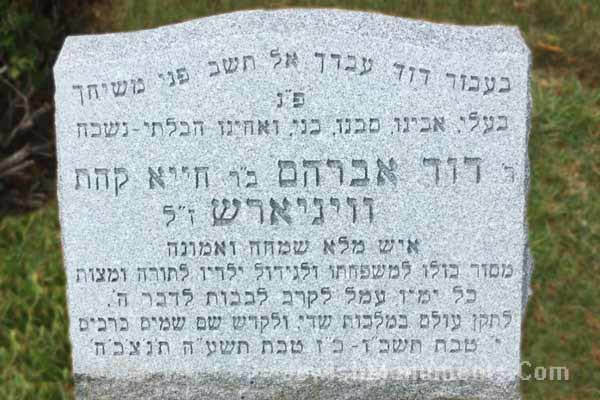 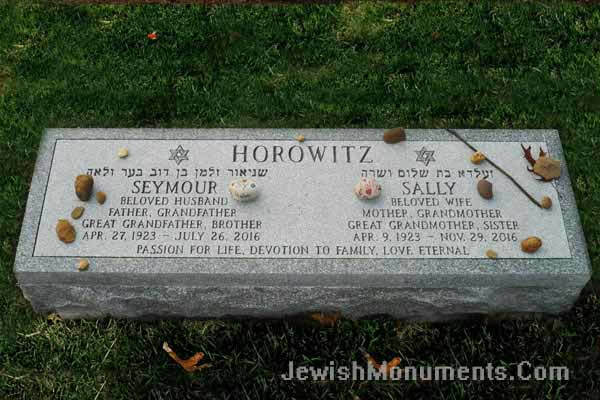 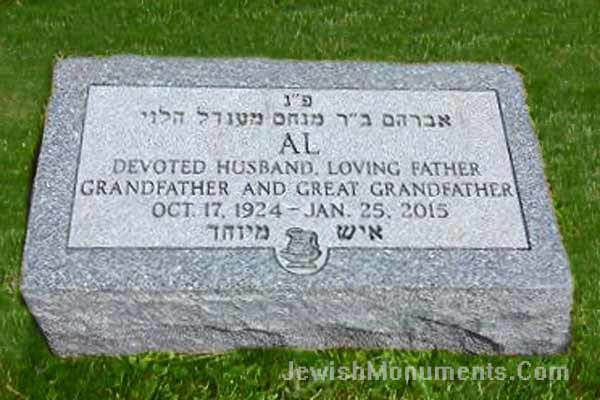 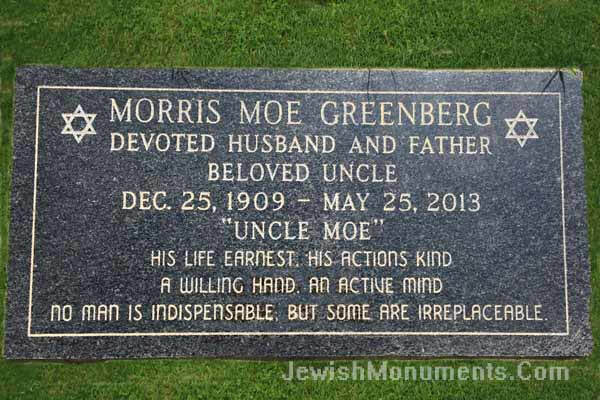 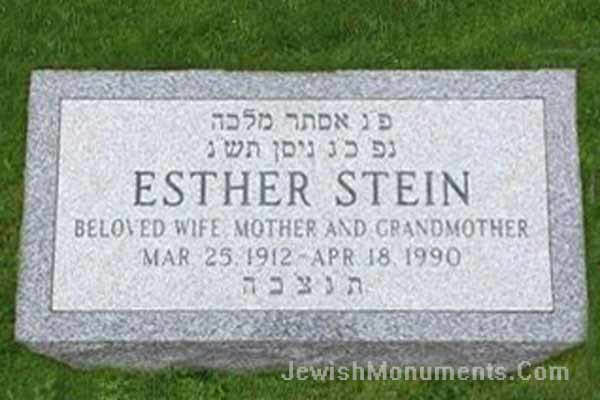 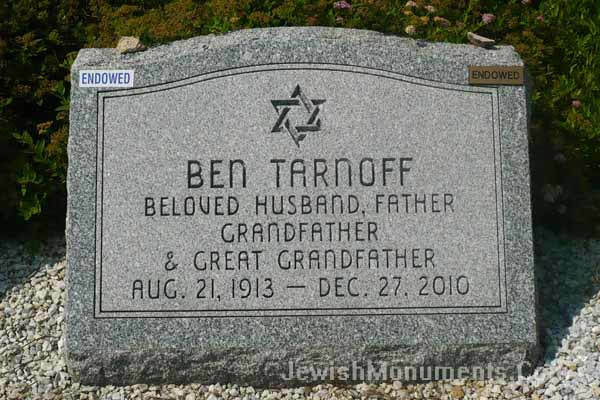 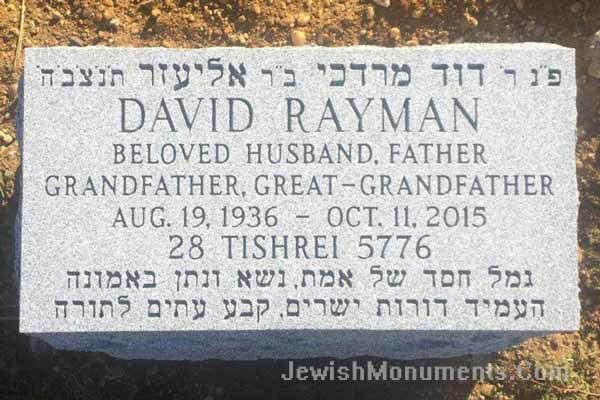 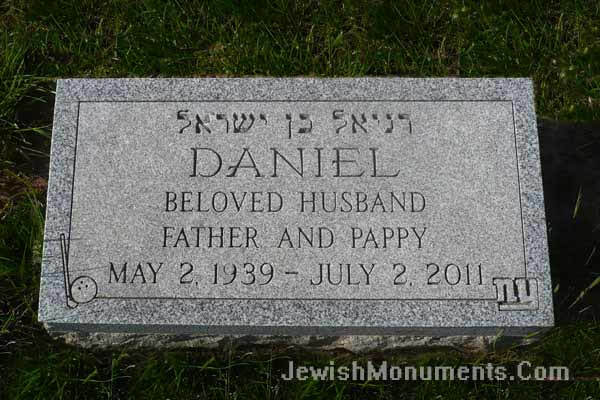 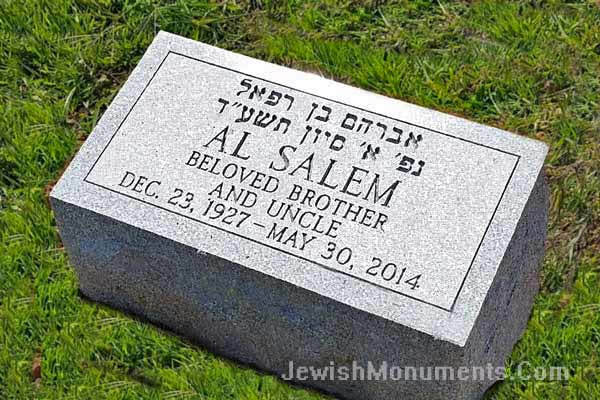 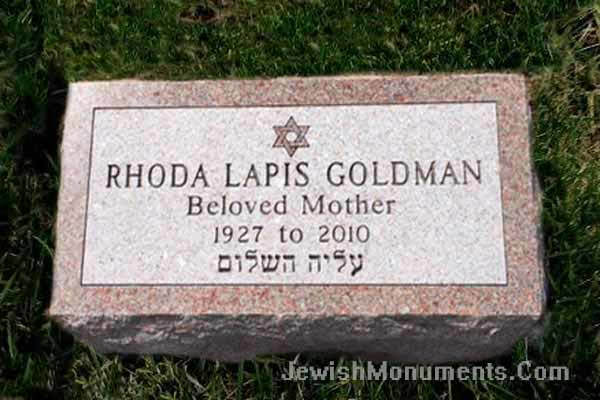 Jewish footstone monuments are generally used as individual grave markers in conjunction with a family headstone. 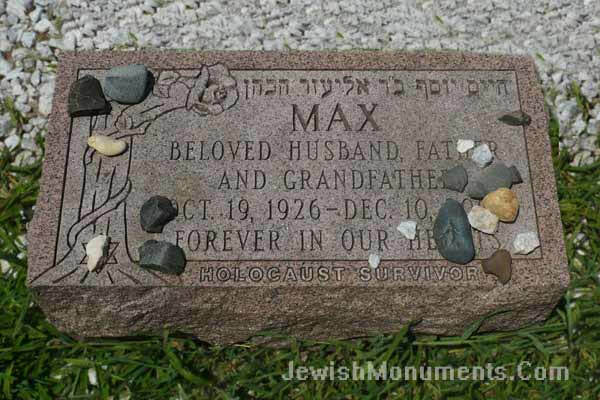 Flush, ground-level footstones are required in many areas designated as Jewish memorial parks. 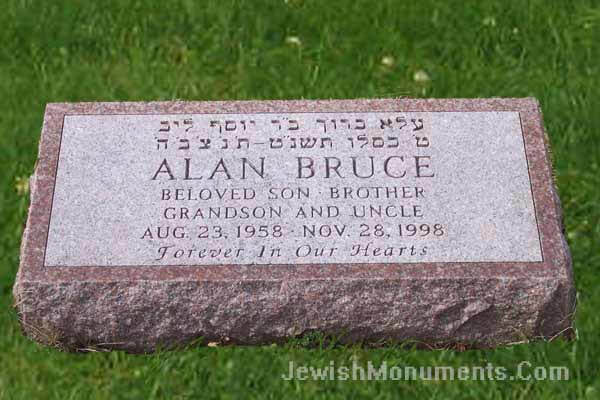 A slant - raised footstone is an economical alternative to a full monument and remains visible even when the ground is snow covered. 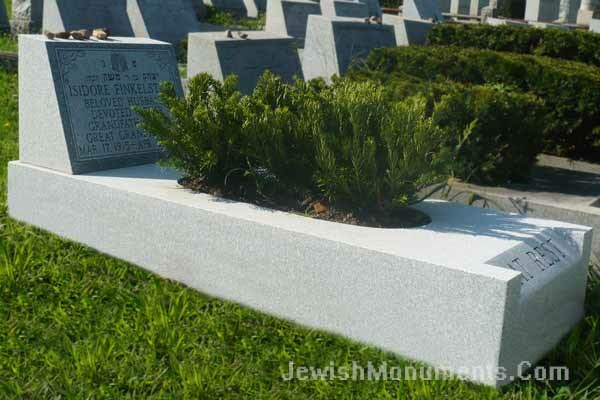 This gallery showcases a selection of OUR Jewish Footstone & Slant monuments. 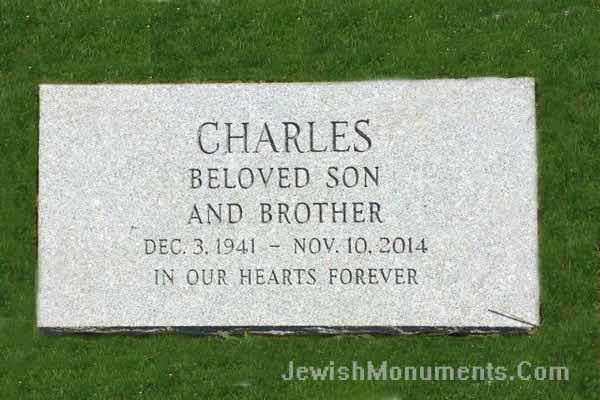 Each monument and design may be modified to reflect the uniqueness of the family. 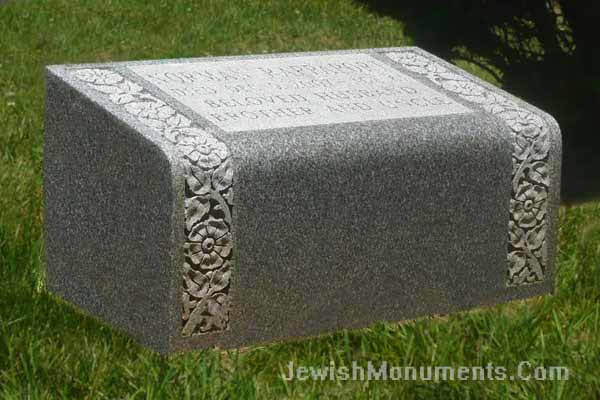 A full selection of footstone designs are available upon request. 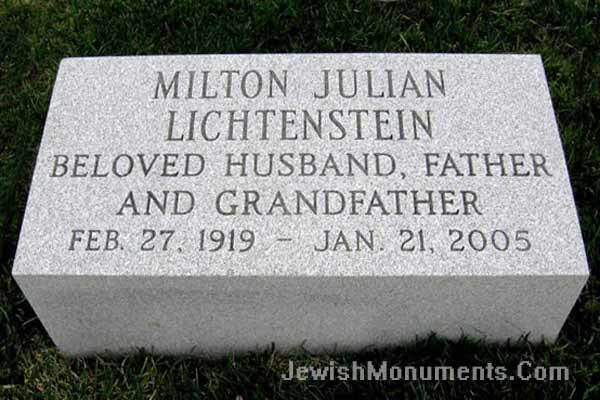 Click now for personalized info on Footstones & Slants.